As is true with any capital city, the food and drink scene in Ottawa is second to none. Below we’ve rounded up five delicacies and culinary adventures that you should absolutely make sure you experience while you’re in the city. If you’re a fan of Lebanese food – in particular, the Shawarma – then you’ll love Ottawa aka, the Shawarma Capital of Canada. If you’re unfamiliar with the delicacy, it is slow-cooked seasoned, marinated and skewered chicken or beef rolled into a pita with various combinations of lettuce, hummus, tomatoes, onions, pickles, pickled turnips and sauces, all of it heated in a press. Apparently, Ottawa has more shawarma and falafel restaurants than any other city in Canada. It’s also rumoured that Ottawa has more doughnut shops per capita than any other country in the world. Not officially, but there sure are a lot of doughnut shops to choose from – whether you’re looking for a regular jam-filled doughnut or a flamboyant and colourful creation. You’ll also find gluten-free and dairy-free doughnuts in most shops. Just to clarify from the start: these aren’t actual beaver tails. They’re actually the namesake product of BeaverTails Pastry, and are fried dough pastries, individually hand stretched to resemble a beaver’s tail. Rumour has it, Barack Obama (while he was President) stopped by Byward Market specifically to buy one on the way to the airport. Speaking of Obama, there’s a cookie named after him. He stopped by the well-known Moulin De Provence Bakery in Byward Market during a state visit, bought one of their maple leaf shaped cookies and said: “I love this country.” Since then the cookie stand has been decorated with photos of Obama and a continuously repeating newsreel of his visit. 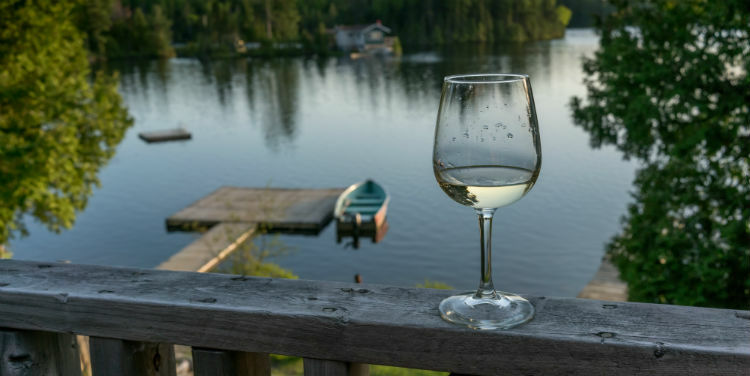 Many people are surprised to learn that a country as cold as Canada is home to vineyards and wineries – but Ottawa boasts a healthy selection. The Frontenac grape is the local grape of choice and thrives in colder climates – creating a unique taste you won’t find in many other countries. One of the biggest wineries near Ottawa is Domaine Perrault. It has a capacity for more than 11,000 bottles and produces 10 different kinds of wine. Its picturesque surroundings are also popular for weddings and group events.